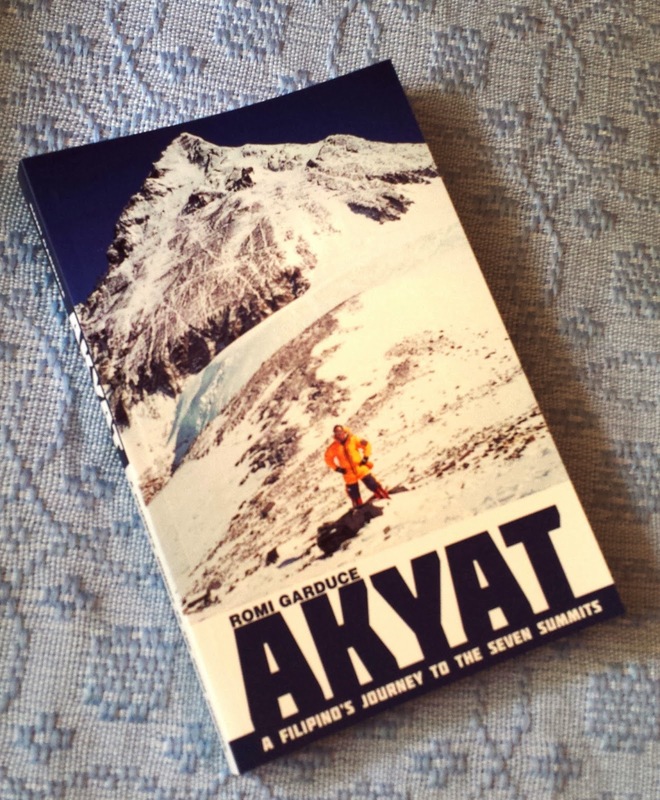 Romi Garduce: Book Title: "AKYAT! 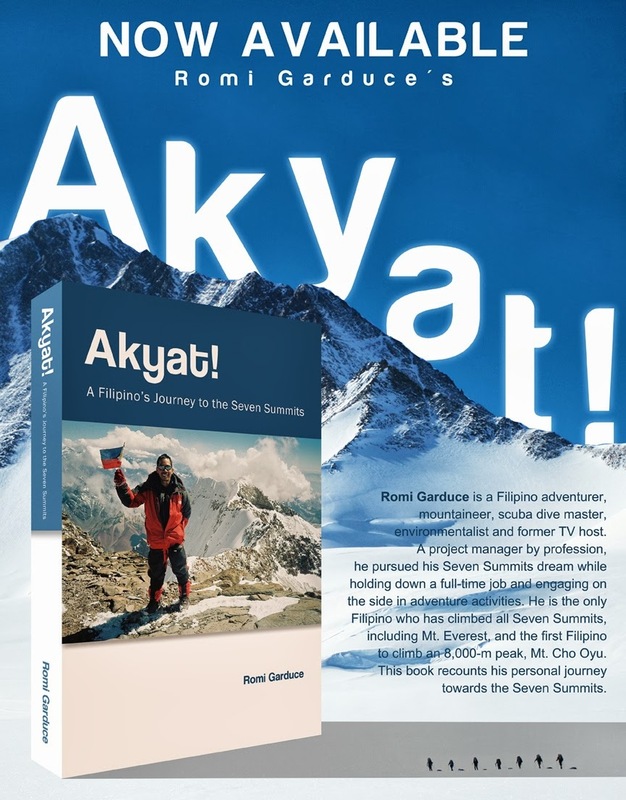 A Filipino's Journey to the Seven Summits"
Book Title: "AKYAT! A Filipino's Journey to the Seven Summits"
Limited stocks now available at Central Bookstore CDO and Cebu branches. Store address and number here. Also now available in La Galag outdoor shop in Baguio. Get 20% discount when you order 10 copies or more. Sell to your friends or use as personal give-aways. Note: shipping cost will be added in the total price. 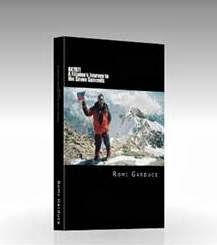 Email your order to romi.garduch@gmail.com . (Orders of less than 10 copies may not be accommodated. You may order here instead.) Available in the Philippines only. by the support of my partners. Thank you! Wala akong hilig sa libro pero natapos ko na basahin yung AKYAT, panalo Sir. 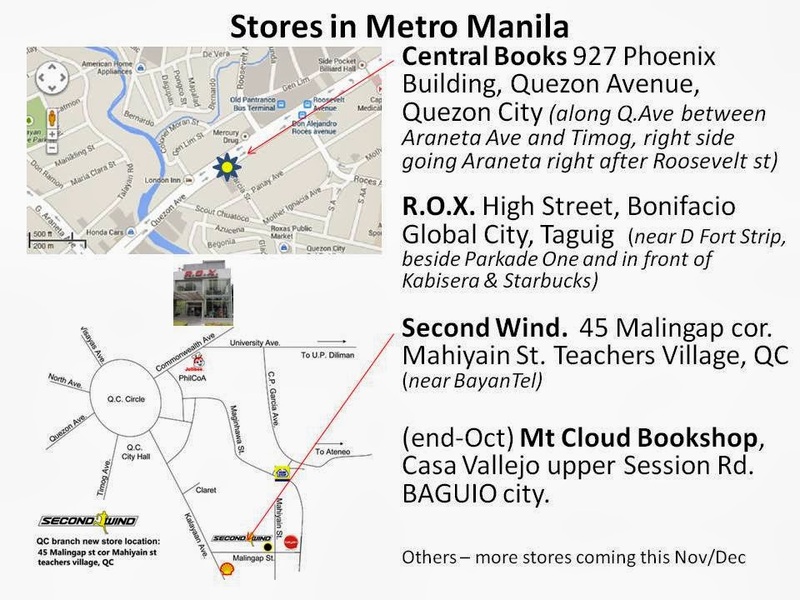 10 years na rin ako umaakyat dito sa Pinas, lalo tuloy ako ginanahan sa adventures at magbasa ng libro. i have signed book copies at La Galag stores in SM North and SM Dasmarinas ;) I can ship signed copies with min. of 10 orders for now. or, wait for the next talk event, or even book tour (TBA). cheers! Im so interested to climb the Mt Everest, pero i think, hanggang youtube, webpage, and books na lang ako. I so love reading and watching all about mt everest. Ready na akong mamatay, after ma reach ko na summit niya. Bibili talaga ako ng book mo.papabili ako sa brother ko habang nandiyab pa siya manila. John Paul - no need to die after summit :) why not start somewhere like a 6000m peak, it will surely be a step forward. ya, read the book hopefully you'll be more encouraged to pursue.. i also read books before my big climbs and they all helped. Got the book at Lagalag SM North. I've been reading the book for two straight days now and so far so good! God willing, I hope to climb Everest someday too. Thank you for paving the way for Pilipino mountaineers into the top of the world! Book at Amazon.com, click the pic.